Coffeeneurs vary wildly on the snacks that accompany their beverage of choice. Some folks focus solely on the coffee, while others include a pastry, cookie, chocolate, or other sweet. It's all good. 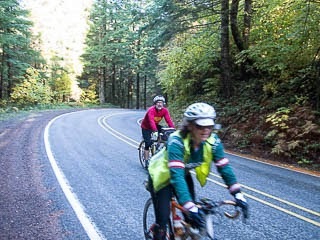 This past weekend Kasia and I drove down to Portland, OR so that I could ride in the 9th Annual Verboort Sausage Populaire, a beautiful ride that finishes at the Verboort Sausage Festival. 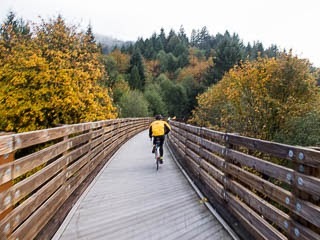 Bikes and sausages -- what's not to like? 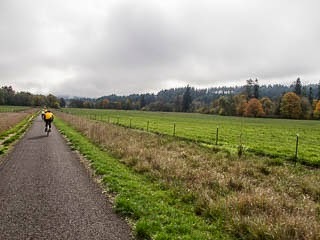 The ride started at 9:00am at Lincoln Park in the sleepy town of Forest Grove, OR. 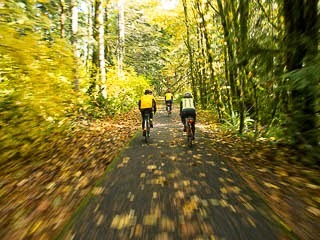 The ride mostly consisted of quiet backroads and the fantastic Banks Vernonia Trail. About 20 people pre-registered, and at least that many started. 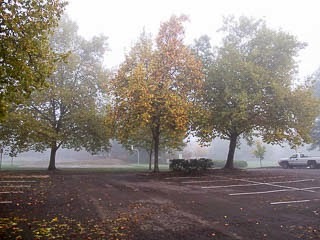 The weather was cool and foggy, and surprisingly stayed that way throughout the day. About 100K later we arrived at the Visitation Catholic Church, site of the sausage dinner. The route finish was, conveniently, about 2.8 miles from the start. 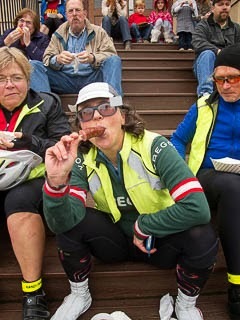 While discussing coffeeneuring strategy for the ride back to the start, Susan had a brilliant idea: get coffee with our sausages, then just ride back. 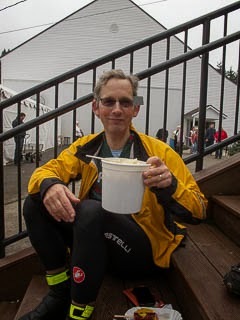 Thus was born "opportunistic coffeeneuring". 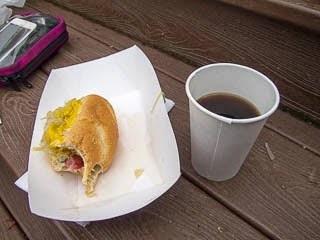 Our coffeeneuring ride was a whopping 2.8 miles at a leisurely pace. 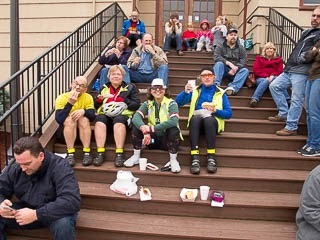 Good food, good coffee, great company, and a beautiful ride -- not a bad way to spend a Saturday.